Known as one of the largest and most difficult construction projects ever attempted, the Panama Canal changed the world in ways that couldn’t be imagined at the time. This vital conduit for maritime trade runs approximately 51 miles (82 km) through Panama connecting the Atlantic Ocean with the Pacific Ocean – cutting a trip around South America in half. 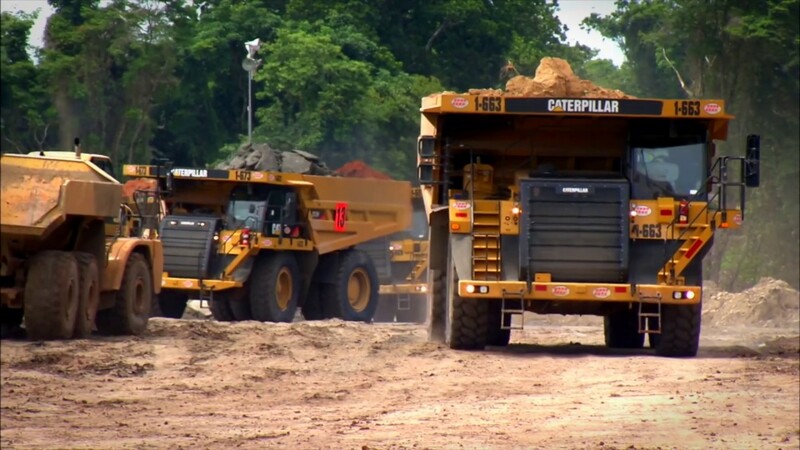 Since the first ship passed through the Panama Canal upon its completion in 1914 – Caterpillar products have been involved in the construction and expansion of the Panama Canal throughout its 105-year history. As visitors will learn at the new Panama Canal exhibit that just opened at the Caterpillar Visitors Center in Peoria – the years 1904 through 1914 represented a massive effort by humans, horses and machines to build what is now considered one of the seven wonders of the world. This ambitious display features the largest collection of glass plate negatives taken at the canal job site, including President Theodore Roosevelt’s first trip outside the United States. Also featured is a scale-model steam shovel built at the turn of the century, used at trade shows back in the day. Watch this video as Caterpillar’s Rusty Dunn takes you on a virtual tour of the exhibit alongside Corporate Archivist and exhibit curator Lee Fosburgh. Learn about the ingenious machines from our rich heritage, and the people who founded and built the company one breakthrough at a time. Come learn about this 20th century engineering marvel and the role Caterpillar played in making it a reality.